MORGANTOWN, W.Va. (March 14, 2018) - The 44th Annual AMSOIL Grand National Cross Country (GNCC) Series, an AMA National Championship, travels to Washington, Georgia this weekend, March 17 and 18, for the third round of the 13-races series. WFR/GBC/Fly Racing/Yamaha's Walker Fowler is hoping to earn his third-straight win of 2018 this Saturday, March 17. The GNCC returns to Aonia Pass MX for The Maxxis General. The last time a GNCC was held at this location was back in 2015. McGill Mafia/CST Tires/Moose Racing's Adam McGill took the win that year, and is currently second in the points heading into round three. McGill is looking to earn his first win of the season, and he very well could this weekend in Georgia. JMR/ATVriders.com/Maxxis-backed rider, Jarrod McClure is looking to land in the center of the podium this Saturday. McClure finished third overall at the Moose Racing Wild Boar just one week ago, and will hope to keep that momentum rolling. One rider who has raced plenty of times at Aonia Pass MX is Maxxis/Fly Racing/Ye Olde Cycle Barn's Chris Borich. Borich finished just off the podium in Florida and you can bet that he is hungry for his first win of the year. Bneal Motorsports/CST Tires/Houser Racing's Brycen Neal is currently two points behind McGill for second in the overall National Championship point's chase. Neal who has been a top contender for the past couple years, has his eyes set on earning that number one plate for 2018. 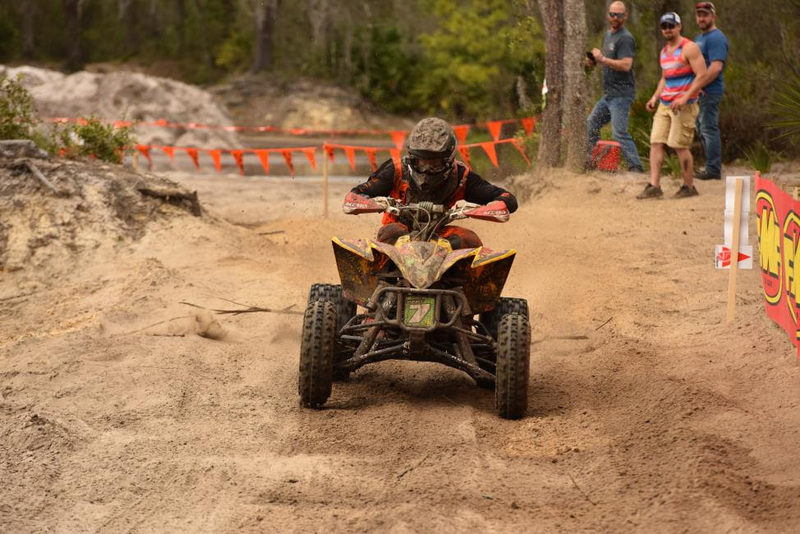 GBC Motorsports/RJR/Solo Pilot's Westley Wolfe has had a busy couple of weeks with the Florida GNCC, then the ATVSX in Daytona Beach, and now onto Georgia for round three of the GNCC series. Wolfe has finished sixth and seventh at the first two rounds, and is hoping to crack that top five finish this weekend. After missing most of last year, AmPro Yamaha's Cole Richardson has had a good start to the season, and is hoping to put his ATV on the podium in the very near future. XC1 Pro rookie, RJR/Tire Spine/GBC Motorsports Devon Feehan has also been impressive on the front row. He has finished 10th and eighth, but is ultimately looking to battle up front. 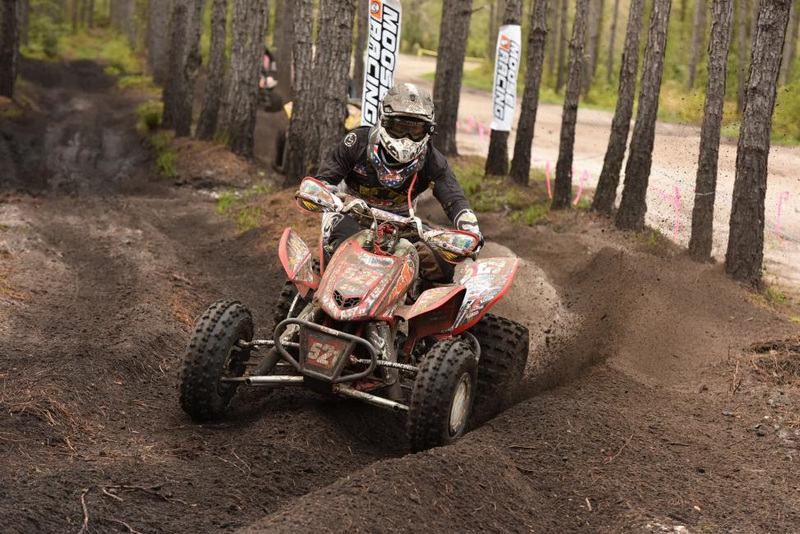 In the XC2 Pro-Am class, Maxxis/Ithaca Recreation Sports/Fly Racing's Hunter Hart earned his first win of the season after experiencing a mechanical issue at round one. Honda-backed rider Matthew Lindle earned the second place position, while John Glauda Jr made his first XC2 Pro-Am podium appearance. Round one's winner, Austin Abney, finished out the day in fourth but still holds onto the points lead heading into Georgia. Four-wheeled ATVs and Micro (50cc) Racing will compete throughout the day on Saturday, March 17. Youth riders start the day at 8 a.m., 4x4 Pro, amateur and women riders race at 10 a.m., and the pros and top amateurs at 1 p.m. The day will round out with Micro (50cc) ATV and Bike racing beginning at 4:30 p.m. The amateur race entry fee is only $50, and youth race entry fee is only $30. To learn more about GNCC Racing, refer to the GNCC 101 webpage. The 1 p.m. ATV Pro race was broadcast LIVE in its entirety on RacerTV.com and can be viewed as archived video online by visiting the GNCC LIVE page online. A highlight show featuring the event will be aired on the NBC Sports Network on Sunday, May 6 at 5:00 p.m. 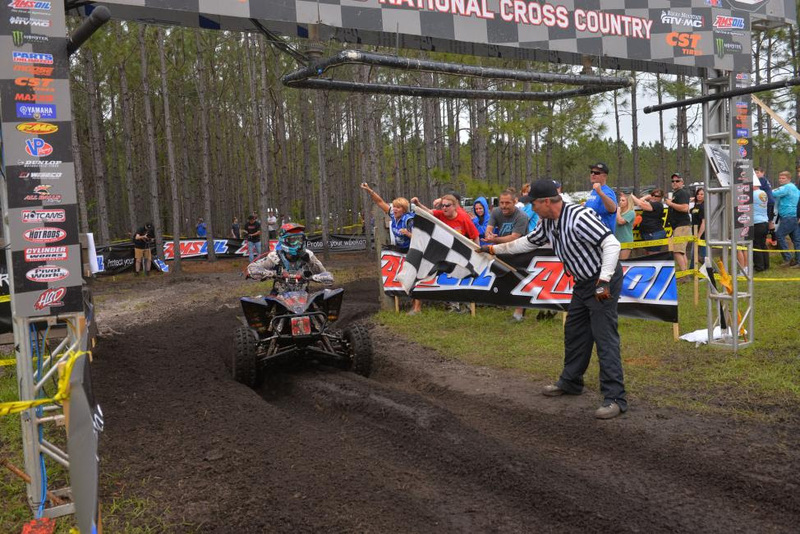 The AMSOIL Grand National Cross Country Series is America's premier off-road racing series. Founded in 1975, the 13-round championship is produced exclusively by Racer Productions. Cross-country racing is one of the most physically demanding sports in the world. 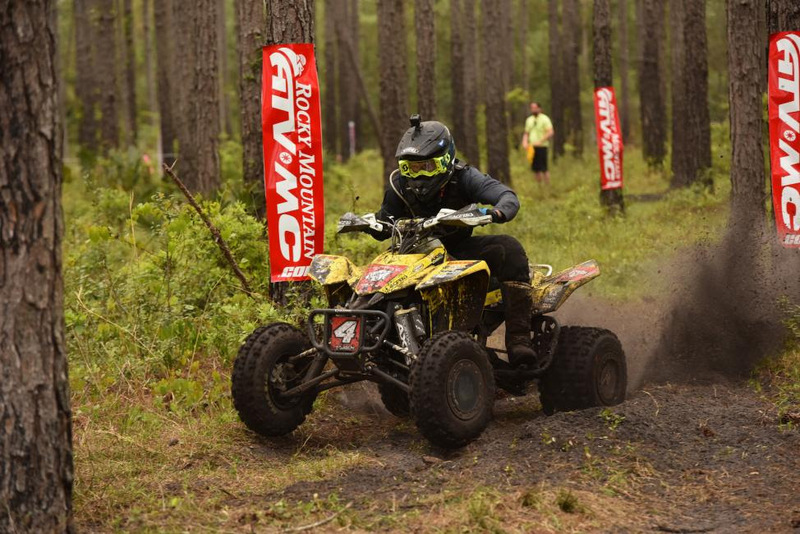 The grueling three-hour GNCC races lead as many as 2,400 riders through tracks ranging in length from eight to 12 miles. With varied terrain, including hills, woods, mud, dirt, rocks and motocross sections, GNCC events are tests of both survival and speed. The series draws talent from all over the U.S., Central America, South America, Europe, Japan, Australia and New Zealand. GNCC Racing is televised weekly on NBC Sports and RacerTV.com. For more information, please visit www.gnccracing.com.